1) If I get all the way through this, do I get a prize? 2) Who do you think will win in 2012? Palin or Quetzalcoatl? 3) When company arrives, is it better to show them the door or wait until they notice it on their own? 4) I hate the twelve days of Christmas. Why can't we have four, or thirteen? 5) How can I be sure that Mick Jagger isn't my biological father? 6) Why does it only hurt when I laugh? 7) What should I do if my mother gives me the finger? 8) Why am I being watched? 9) Why is the alarm on my cell phone waking me at random times during the night? 10) Is there some such thing as Virginia? 11) Our Thanksgiving turkey this year had absolutely no white meat. Neither did our neighbor's. You only like white meat. Do you know anything about that? 12) Why did you take a picture of my bathroom window for this? Are you a stalker? 13) How many morons does it take to unscrew a light bulb? 14) Did Janis Joplin really think that freedom is just another word for nothing left to lose? I mean, nothing left to lose is four words, not one. Or was she just making a joke? 15) Is it possible to be wise and unemployed at the same time? 16) Why is there an interdimensional portal on my front lawn? 17) I don't drink, use drugs, or watch TV. Is something wrong with me? 18) I've been told I have the mentality of a five-year-old. Is that a good thing, or a bad thing? 19) My neighbor says she's my friend, but my friend thinks my neighbor is a liar. Who do I believe? 2) Do you think this is my first rodeo? Everyone knows they're the same person. 3) It depends on how many are in the party. Long division is an effective method for separating the company from the crowd, since multiples of three generally indicates a problem during the invitation phase. Multiples of twelve means that someone has removed the hinges, thus eliminating the need for a doorbell. 4) Your revolving credit account doesn't accumulate much interest in only four days, which means your lender's children don't get any toys for Christmas. Thirteen throws off the cadence of the song, which means no one would want to sing it anymore, which means no holiday spirit, which means your lender's children don't get any toys for Christmas. What a Scrooge you are. 5) You can't. No one can ever be completely sure about that. 6) It doesn't, really. It hurts all the time, but laughter has a magnification factor of 10, while weeping only magnifies things by 8x. 7) It should be carried in a shirt pocket, or hung around one's neck on a shoelace. Refrigerators are never appropriate places to store gifts from one's mother. 8) That's paranoid. I'm the one being watched. 9) It isn't. What you perceive as randomness is due to the pseudorandom timing algorithms used for synchronizing spread-spectrum encoding of voices from the other side of town. True randomness occurs only in nature, and is beyond technology's present state of the art. 10) Nice try, Santa. Don't you have something to do right now? 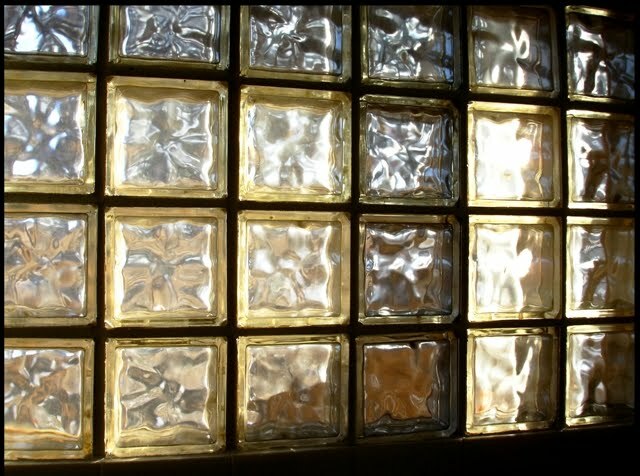 12) How do you know it's your bathroom window? Since you brought it up, maybe that's your wavy, distorted face I see every morning while I'm brushing my teeth. Do my teeth fascinate you? If you're so fascinated with teeth, maybe you should get a set of your own. Maybe you should mind you own teeth, stalker! 13) Only one. Those who nod and smile in approval may have a strong aversion to light, or may simply enjoy the sensation that comes from walking into walls. 14) It wasn't a joke. She was being ironic, but that isn't always the same thing. For example, say you lose your wallet in a crowded restaurant, and then when the waiter brings your dinner, there's your wallet hiding under the sirloin. It's ironic because the wallet you ate for dinner was the same one you needed to pay for the dinner you ate, which was really your wallet all along, even though you didn't know it until there was nothing left to lose. Something that's in your stomach isn't lost. That's all Janis was really trying to say. 15) Don't be stupid. Wise people always have jobs. 16) That isn't real. By the way, I'll need the names and addresses of anyone you might have mentioned this to. 17) I'm sure it's nothing. By the way, I'll need the names and addresses of anyone you might have mentioned this to. 18) It depends. Some five-year-olds still require diapers, while others are autonomous, potty-trained adults in miniature. Whether or not the comments you mention are intended in a positive way depends on how you handle yourself in the bathroom. 19) Which one is better looking? That's the one you should believe. 20) Ask Alice. Or Adam. Or Odin. i asked Alice, she said to ask you. I hate the run around! I'll have to ask Adam . . . hang on . . .